Timothy Leary was a key figure of the 1960s counterculture, famed internationally for his advocacy of LSD and other psychedelics as gateways to a higher level of consciousness. The man who coined the phrase “turn on, tune in, drop out,” Leary’s interests ranged from experimentation with hallucinogens to social change and legal reform to mysticism and spirituality to determining what lies beyond our consciousness. Leary left behind a vast collection of letters and other papers, now held at the New York Public Library. Stored in six hundred boxes, this material has been largely left untouched – and unpublished – until now. 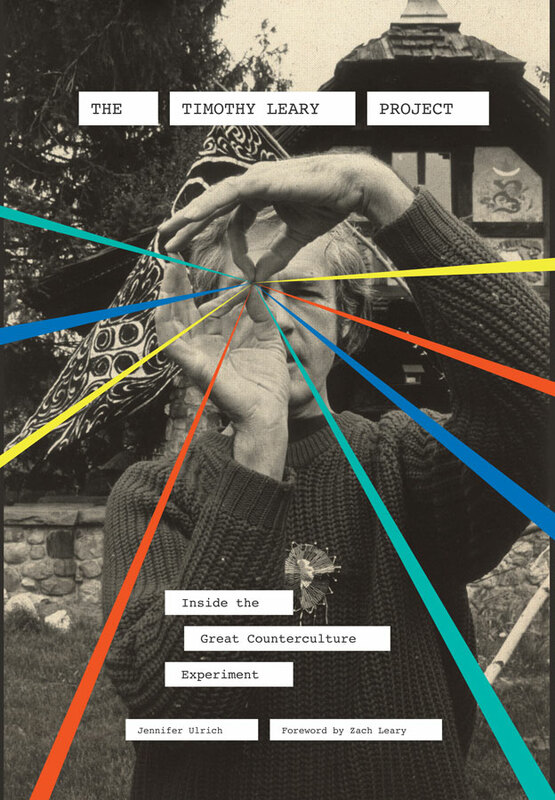 In The Timothy Leary Project, archivist and debut author Jennifer Ulrich has organized this rich material into an annotated narrative of Leary’s adventurous life – his epic quest for spiritual discovery, and his lasting impact on American culture – so giving readers the opportunity to explore his life like never before. With a foreword by Zach Leary, a preface by Michael Horowitz, and featuring more than one hundred letters and new interviews with key figures from Ken Babbs to Andrew Weil, as well as some eighty images, Ulrich’s book celebrates the hedonistic Leary of popular reputation – but also offers fresh insights into Leary the highly qualified psychologist, working at the frontiers of thinking about the mind and consciousness. JENNIFER ULRICH is an archivist who spent more than a year working with Timothy Leary’s papers at the New York Public Library. She lives in New York City. Timothy Leary’s son ZACH LEARY is the host of the It’s All Happening podcast. He lives in Los Angeles. MICHAEL HOROWITZ founded the Fitz Hugh Ludlow Memorial Library of drug literature. He lives in Vancouver.